Father’s Day is not too far away! This year, surprise the dad in your life with a worry-free night out on the town by getting him a Bambino gift card. 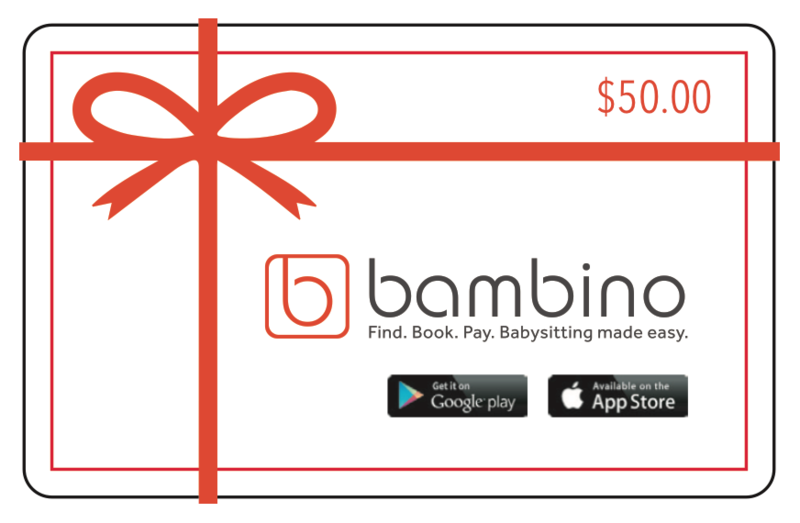 Bambino, a membership babysitting app that uses a private social network to connects you to a community of recommended sitters that are trusted by friends and families right in your own neighborhood is offering gift cards for last minute gifts for parents! Dads need babysitters too! Whether he uses it for date night, guys night out or even a day on the golf course, dad will appreciate getting some “me time” while knowing his children are safe at home with a trusted sitter. Bambino, a membership babysitting app that using a private social network, connects you to a community of parents looking for recommended sitters that are trusted by friends and families right in their own neighborhood. All-star mom, Gwyneth Paltrow even revealed it as one of her fave mommy items in the latest Goop This & That newsletter! Bambino connects parents with sitters that friends have used and recommended. Bambino also tracks the duration of the sit and, once the job is done, parents can pay the sitter right through the app. Sounds like such a cool organization!